With more than 135 years of experience and with activities in more than 50 countries, FLSmidth is productivity provider no. 1 to its customers. Sharing our customers’ ambitions, we bring better solutions to light by improving their safety standards and enhancing their performance. FLSmidth’s 12,000 employees use their unique process knowledge about projects, products and services to meet our customers’ needs for technical innovations, digitalisation and sustainable life-cycle management. Together with our customers, we challenge conventions, explore opportunities and drive success through sustainable productivity enhancement. 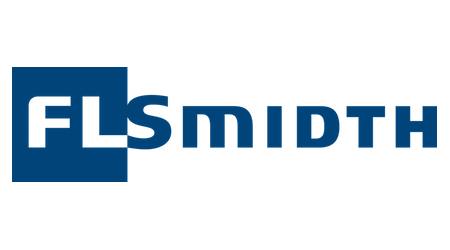 At the moment FLSmidth does not reap the full benefit of its sales data. There is a large potential to utilise number of data sources (install base, CRM, sales force presence, etc.) in order to get tactical business insights and fully optimise the sales force. The goal of a project is to develop a market/sales intelligence (SI) model that will highlight sales opportunities in Asia region. We expect you to analyse macro factors, our customer data and sales force presence in order to get full benefits of our full Product Life Cycle offerings. We are looking for an open-ended solution, meaning, market data should be collected and business insights should be displayed on a continuous basis. •	How can we optimise sales force in the Asia? •	Where are the ‘white spots’ in the market? - Opportunities in the region where FLS is not present or where our capabilities/offerings do not match our current markets needs. •	General market insights and trends. To collect data and to support you through this project you will get an access to a broad range of stakeholders and senior level people at FLSmidth including. Starting from scratch you will have a great opportunity to work on a completely new project and show how to take theory into practice. Our organisation is relatively immature regarding the usage of Market and Sales Intelligence data which will give you unique opportunity to have high level of independency, flexibility and most importantly - influence to our company. We are looking for student(s) with great interest in working with Business Intelligence. You should have a relevant background and previous experience in the intersection of Business and IT. We expect you to be capable of working independently, be proactive and take full responsibility for leading the project. To support your project, you will have an access to regional CFO, Head of Service Sales, Country Managers, our Business Intelligence manager and other stakeholders. We are flexible on the working terms. That being said using the office for every day work is also an option.